As we expand our consciousness into higher awareness. We become a vibrational match to relationships that teach and prepare us for our next step into 5D. Although our experiences are for our best and highest good, these relationships are often seen as our most challenging in the third dimension. At the beginning of 2017 with our most recent global shift into the Golden Ages, many who are still processing 3rd-dimensional lessons were left asking these questions. “Why can’t I find the perfect love?” Or “When will I meet my soul mate? 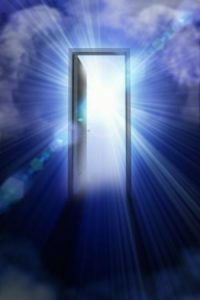 The simple truth to consider is that until we completely understand our 3D experiences are the ones we chose to help us on the path of awakening. We will continue to repeat the lesson over and again until we get it. Once we fulfill our karmic contracts from our past and current lives we will be able to shift onward finally integrating all that is necessary and to move into the wholeness we seek. If we are having issues with dependency then we have not processed all of our life lessons involving stability. When we experience situations where money is hard to make and keep as well as getting along with others including intimate connections then we have not mastered our relationship lessons. If we are having issues with our personal boundaries with respect to others controlling us or vice versa then we have not incorporated our lessons on the use of personal power. Those of us lucky enough to have reached 5D are currently reaping the benefits of becoming masters of the lower selves. These relationships in comparison to 3D are ones that find us empowered because they are more in alignment with which we are and how we vibrate in the moment of now. Instead of being hindered from personal successes we are supported in all that we think say and do. Where there was once a blocked or limited feeling we can now flow effortlessly and be happier in our expanded states. We find the energies of the 5th will hand us blessings upon blessings in the most amazing way. Even though we can with just a thought create wonders here in the fifth we oft times don’t have to ask and it is because the Universe knows what is needed and that we have found the alignment we have long hoped for and have now achieved to be more in tune with our true Divine nature we are rewarded time and again. There are many signs we receive that help us move through the matrix with grace and ease we are all that holds us back from transitioning smoothly.